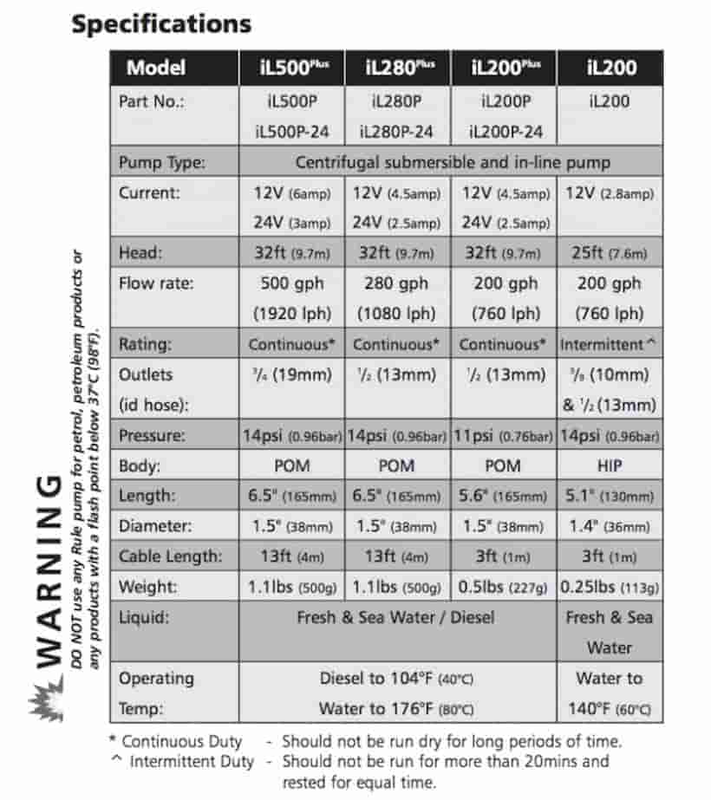 This Rule pump is versatile and can be used as either a submersible pump or an inline pump changed from one to the other in just seconds. This great little portable pump will deliver up to 11 litres per minute and it comes with it's own easy to clean screen filter. This slimline pump is ideal to transfer water, salt water, diesel or low acid liquids from a tight space with no spillage. Perfect for so many applications! Can be used with food grade hose in commercial kitchens and with its slim size this pump can fit into small spaces. Versatile – converts from submersible to inline pump in seconds. Not self priming. Must be gravity fed. Run dry protection. Should not be run dry for long periods.